I grew up in in Miami but not the Miami everyone thinks of. My Miami was a bit more suburban and way less glamorous. Currently I live in Kansas City, Missouri where I work as a Designer at Barkley Design. 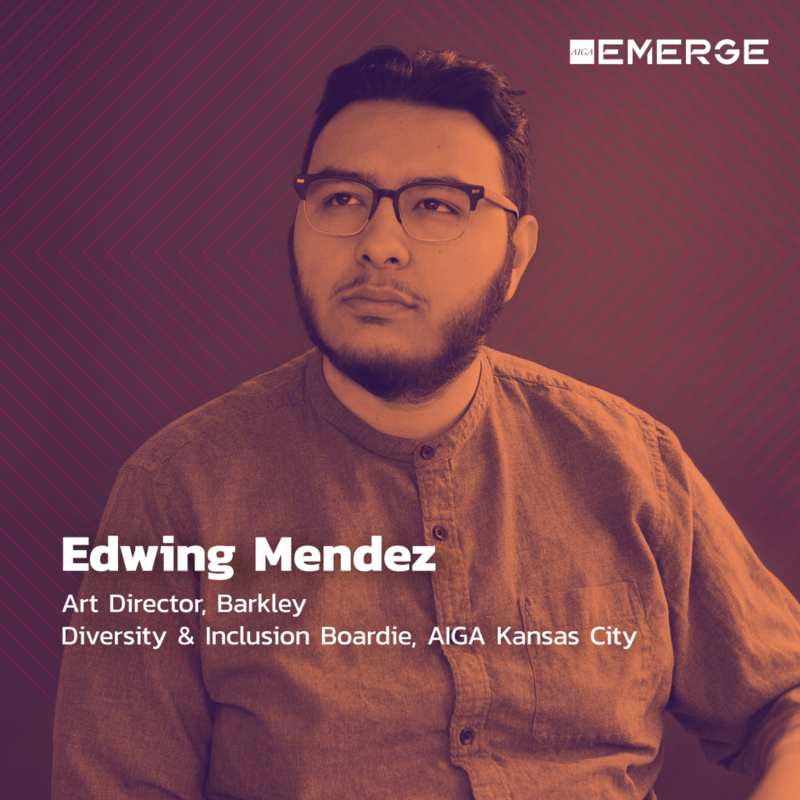 I’m also on the AIGA KC board force the Diversity and Inclusion taskforce. How did you find your way into design? Okay this might be a long story… I’d say it all started around middle school when my dad got us our first computer. He often asked me and my brother to retouch old family photos, and that’s where it started. I eventually taught myself Photoshop, HTML/CSS, video editing, even started making beats (as in hip-hop beats) all by the time I was 16. When college rolled around I had no idea what I wanted to focus on, spent my first two years of college getting an AS degree in Sound Engineering. After that I just kept enrolling into random art classes from woodworking to printmaking to film photography. Honestly this was the best part of community college. There was no way I could have had that freedom to explore these various creative interest with my income anywhere else but a community college. In 2012, I moved to Kansas City to attend KCAI for Graphic Design. There I got to learn about design as more than just the process of making things look pretty, but the process of creating thing with purpose, ideas that can transform experiences, and the ability to turn empathy for others into tangible products. I felt like I had finally found my calling and it was right it front of me this whole time. What is your creative process like? Has it changed since you were an emerging designer? Research is my first step. I love just getting lost in a Wikipedia black hole and trying to learn as much as can about the project I’m working. Even though now I work with several strategists whose job is to do that research, I still have to do my own. It’s how I immerse myself into it a project. After that I just start exploring, making, prototyping, getting feedback, rinsing and repeating until eventually someone tells me I’m done (in my brain I’m never done). I think working in a fast paced agency over time has taught me to be flexible in that process. What was your experience like as an emerging designer? Sometimes, I feel like I kinda stumbled into this career. Yeah, it took a lot of hard work to get the comfortable state I’m in now, but it also took a lot of dumb luck… So yeah I’m familiar with Imposter Syndrome [laughs]. I’m also lucky to have great mentors and creative partners around me that help balance out that lying voice in my head. How long have you been involved with AIGA? I’ve been involved for just over a year now. I had been doing D&I work at my agency for a couple years when I learn that AIGA KC was trying to get their D&I task force off the ground. So I decided to join the board to contribute to that effort. Can you tell us about your role in AIGA KC? I joined the board as an Associate to collaborate with Luis Garcia, the current D&I Director, on how we can curate specific programs and goals for our Kansas City chapter. Short-term, I’d like to push our AIGA community into deeper more nuanced conversations about D&I. We need to move beyond the “why diversity is important” conversations. 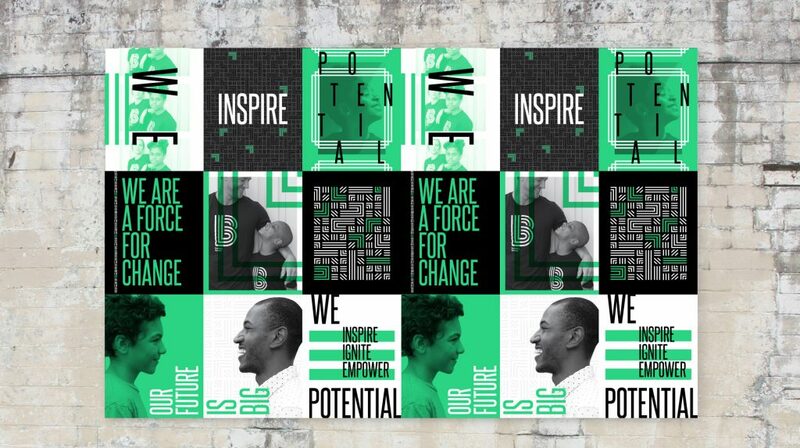 Long-term, is to have an impact on our whole city through the powers of design and inclusion. What does D&I mean to you? What about equity? Diversity is just the current reality of the communities we serve. Inclusion is the hard work redesigning the culture and systems that have kept that diversity out, intentional or not. The unintentional barriers are the most challenging to address, but also very interesting to approach as a designer. Equity is the goal, but in a way equity will constantly be moving away from us. As it should right? People and culture change so our standards of equity should shift with them. You recently attended the Design + Diversity conference. Can you tell us more about your experience there? That was such a magical weekend. I can’t explain the feeling of being in an incredibly diverse space full of designers and creative folks. I feel like many of the folks there also work in organizations where diversity isn’t present so there was an amazing sense of validation that came from just being there. It would be hard to choose just a few takeaways, but generally I left feeling that we needed more Executive level people there. Those are the folks that have the power to create the systemic and cultural change we need. I’m already recommending it to several people and even asked (demanded) that one my department’s directors join me next year. So I will be there with one of my Design Directors next year.